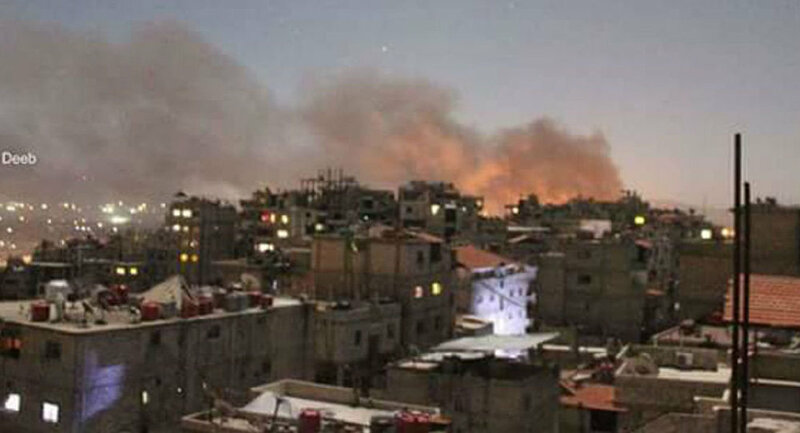 On Thursday night, Israel conducted heavy bombing of Mezzeh military Airport near Damascus. BEIRUT (Sputnik) — Israel bombs Syria, when it feels falling morale of terrorists, thus encouraging and supporting them, adviser to Syrian information minister Ali Ahmad told Sputnik Friday. "When Israel attacks Damascus, it cannot be taken as an isolated case. When Israel feels weakness in the body of the terrorists in Syria, it is trying to encourage and support terrorists and does so by bombing [Syria]," Ahmad said. He added that the West and Israel did not want peaceful life to return to Syria as "functioning of the Syrian government does not correspond to the interests of Israel, and so they want to support terrorists and to strengthen them." On Thursday night, Israel conducted heavy bombing of Mezzeh military Airport near Damascus. There were no immediate reports of injuries or casualties. Since 2011, Syria has been engulfed in a civil war, with government forces fighting against numerous opposition and terrorist groups, including al-Nusra Front and Daesh, which is banned in a range of countries, including Russia.